WHY IS QUALITY EQUIPMENT SO IMPORTANT? Trekking in Peru means high to very high altitude hiking and camping. As you ascend in height the temperature cools down. Camping at high altitude equates to subzero nighttime temperatures. Weather can also be very unpredictable in the mountains, especially at high summit passes. It is important to stay warm, dry, well hydrated and well fed in order to fully enjoy the incredible experience of Peru’s pristine wilderness! We pride ourselves on offering the very best equipment for all our treks. All of our equipment is inspected, tested, cleaned prior to and after each use and replaced when worn. 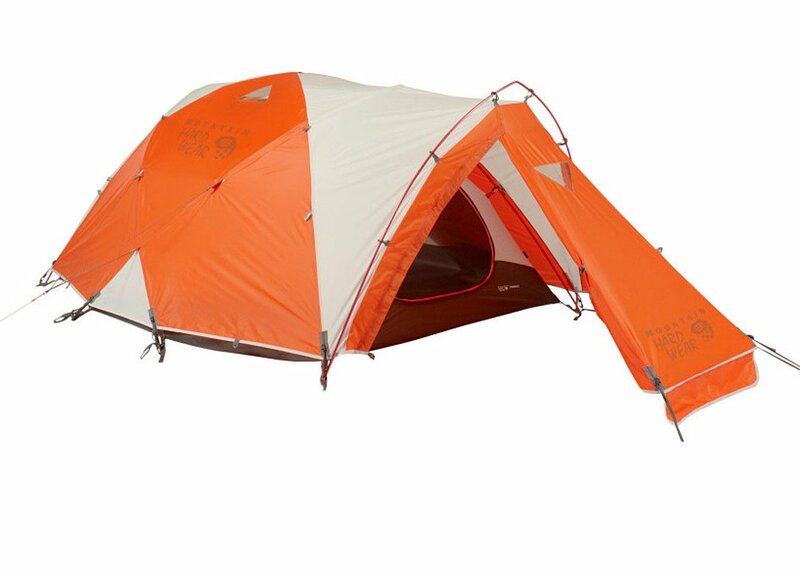 All of our tents for the very high altitude treks are true 4 season rated expedition tents made by Mountain Hardwear, one of the best in the industry. Nice and roomy, these tents can comfortably fit 3 people, but we use our tents for 2 people (unless you select single person or triple person occupancy). Our tents have two vestibules for your gear, waterproof footprints, dual doors so you’re not climbing over your friends to get out, and fully watertight construction so your tent doesn’t turn into a lake if it happens to rain. We pride ourselves on being a green, eco-friendly company. We adhere to the Leave No Trace recommendations for eco-travel and are continually striving to improve our practices. We recycle all items possible, utilize reusable bags and containers (rather than plastic/disposable ones), separate organic from non-organic waste and dispose of these properly, use biodegradable earth friendly soaps, pack out all rubbish, and have strict codes of conduct for cleaning and disposal. All of our treks include group tents: dining tents, kitchen tents (for meal prep), and toilet tents. For certain specialty trips (e.g. yoga/meditation treks) we have large, custom made tents to offer full cover while practicing yoga and meditation in the mountains in the event of doing so in inclement weather. All our group tents are waterproof. All our kitchen and dining items are stainless steel, glass, and porcelain for environmental and hygiene reasons. Plastics contain unsafe chemicals, harbor bacteria (and so are unhygienic), and are bad for the environment both in terms of production and disposal. We use all stainless steel pots and cutlery for cooking and clean all cooking and dining ware using biodegradable, earth-friendly soap. Our sleeping pads are extra thick, foam based mattresses that provide cushion and insulation and we provide thick, woolen blankets in case extra layers are desired. We also have super comfortable, self-inflating Alps Mountaineering sleeping pads for rent. Because sleep is so individual we require that each guest bring their own sleeping bag and highly recommend bringing their own mattress pad (such as Thermarest or Alps Mountaineering). Everyone is different, some people stay very warm when they sleep and others need extra warmth. Bring what you know to be comfortable for you when camping in cold weather. A good night’s sleep is essential when high altitude camping/trekking. We outfit our guides in jackets and fleece layers by Sherpa Adventure Gear, a small Nepalese company that prides itself on excellent quality and 85% of their items being produced locally in Nepal! Sherpa Adventure Gear is striving towards 100% production in Nepal, employs locals which supports the local economy, and sponsors a local charity for underprivileged Sherpa children. We chose to use Sherpa’s clothing for our guides because of the company’s commitment to sustainable, local manufacture and culture of giving back. Recently, National Geographic named Nepalese mountaineer Pasang Lhamu Sherpa Akita the 2016 People’s Choice Adventurer of the Year. She wears Sherpa Adventure Gear on her expeditions! You can read her story here. We bring a GPS enabled Satellite phone in case of emergencies on our remote wilderness treks. These phones are equipped with an SOS system that automatically sends exact coordinates to a special emergency center who contacts the appropriate rescue teams according to the location of the emergency. This phone also allows for messages to be sent and received for important communication that is not an immediate emergency. We provide a first aid kit and emergency oxygen tank on all of our treks. Our first aid kits comply with USA Red Cross recommendations and our oxygen tanks are checked before and after each trek. Our guides participate in first aid and CPR training annually. Portable toilets (and toilet tent) are provided on every multi-day camping based trek. Most of our toilets are biodegradable, using biodegradable bags. Waste is packed out and disposed of upon return to Cusco.